I have heard an excessive amount of horror stories from ladies who go to certain nail salons for acrylic or gel nail repair or nail removal. What makes these stories horrific is when I hear how they have had the artificial nail removed! Ladies, it is UNACCEPTABLE, nor is it protocol, to rip off the acrylic or gel nail. Fast… Yes. Painful… Extremely! 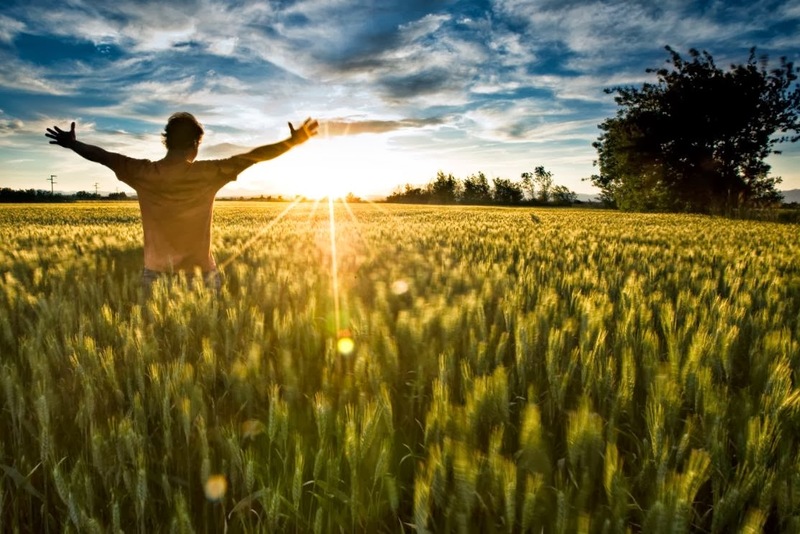 Can they be removed easily and without pain? Absolutely Yes!!! What type of nail do you have? It is very easy to tell. If a liquid is dipped into a powder then it is an Acrylic product. If the product comes out of a pot or bottle already mixed and it is very clear and then each layer is cured under a gel lamp, then it is a Gel nail. Some women are told that they have Gel nails when in fact they have Acrylic nails with a Gel overlay. If a liquid and powder is mixed, placed on the nail, filed and then a clear product is placed on the nail and cured under a gel lamp, then you have an Acrylic nail with a Gel sealer. So how are these types of nails supposed to be removed? 1. If the nail is very thick or you have a Gel Sealer on your nails, file down the thickness and/or gloss without filing into the natural nail. 2. Place a piece of cotton, saturated in pure acetone, on your nail. 3. 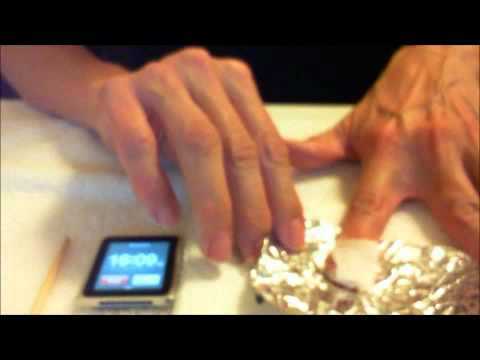 Wrap the tip of your finger in aluminum foil, shiny side facing in toward your nail to hold in the heat of your finger. 4. After approximately 10 – 15 minutes, remove the foil and cotton and GENTLY scrap off the acrylic product with a wooden manicure stick. For Gel polish and Shellac polish, you can just clean the nail with the remaining cotton to remove any additional residue. 5. Repeat this process until the entire acrylic nail is removed. With Gel nails (unless it is a Soak Off Gel), it is a little more precise. You must simply file it off, being careful not to file too much into the natural nail. Start from a coarse nail file and work your way to a finer file, the closer you get to your natural nail. Once the nail is removed, you can replace the nail or lightly buff the nail and apply a nail strengthener of your choice. Some of my favorite “after artificial nails” products are Jessica’s Restoration Base Coat and Salon Science’s Starting Over After Artificials. Plus, there is a host of other great nail strengthening products such as OPI’s Nail Envy, Nailtrition, Nail Magic by Haken, American Classic’s Gelous Nail Gel Polish, CND’s Toughen Up, Essie’s Millionails, and many, many more, too many to mention. Again, it doesn’t matter if you remove the artificial nail at home or in the salon, it should not be painful. Remember… Pain equals more damage to the natural nail. Don’t put yourself through the torture of having your nails ripped off! If you are in the nail salon, and if the technician is about to try to rip your acrylic or gel nail off, tell them NO. Tell them you want them removed the safe way. And if they won’t do it, get up and leave. Have your Acrylic or Gel nails removed the safe way only, and know your natural nails will be better for it. 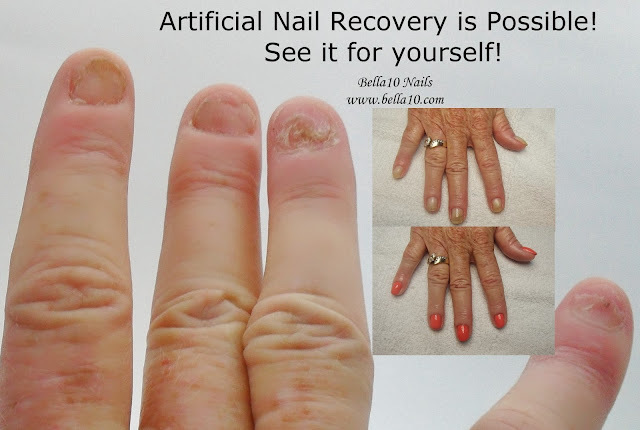 You can recover from artificial nails! Caring for your nails and skin is easy if you just take a little time and use good products on your skin and your hands. "The Secret to Artificial Nail Recovery"
If a liquid and powder is mixed, placed on the nail, filed and then a clear product is placed on the nail and cured under a gel lamp, then you have an Acrylic nail with a Gel sealer. So how are these types of nails supposed to be removed? Excellent Work! Thanks For Sharing.. If you have a liquid and powder nail with a gel sealer over the top, it is best to file away the gel sealer then soak the nail with pure acetone as seen in the video. if you would like to speed up the process, file enough of the artificial product as possible without touching the natural nail to minimize damage to the natural nail. A little added heat, say from a task lamp, will help soak them off a little quicker. How can I remove the gel sealer without damaging my acrylic nails underneath? I've just had them done but I don't like the colour they put on under the gel sealer. Is there anyway to get the sealer off so I can paint my acrylics a different colour? Jessica, my question to you, "Is it a gel that soaks off like the CND Shellac brand or not? Some gel sealers do not soak off and need to be buffed off, some need to be roughed up a little with an emery board before a soak off and some just soak right off without any filing at all. It all depends on type or brand of product you have on your nails. If you have just any regular gel sealer over a Pink & White nail and you want some color, you can paint your nails over your existing gel sealer with either a regular polish or a gel polish like the CND Shellac brand. The problem is removing your gel polish afterward without degrading the acrylic underneath. Soaking your nails in Acetone for more than a few minutes will help remove gel polish (5-10 min) and gel sealer (1-2 min but you may also break down the molecular strength of the acrylic when you do. Sometimes it is better to file off the existing gel sealer or gel polish if you have acrylics underneath. The best recommendation I could give is to speak with whomever manufacturers the acrylic product you currently have on your nails.